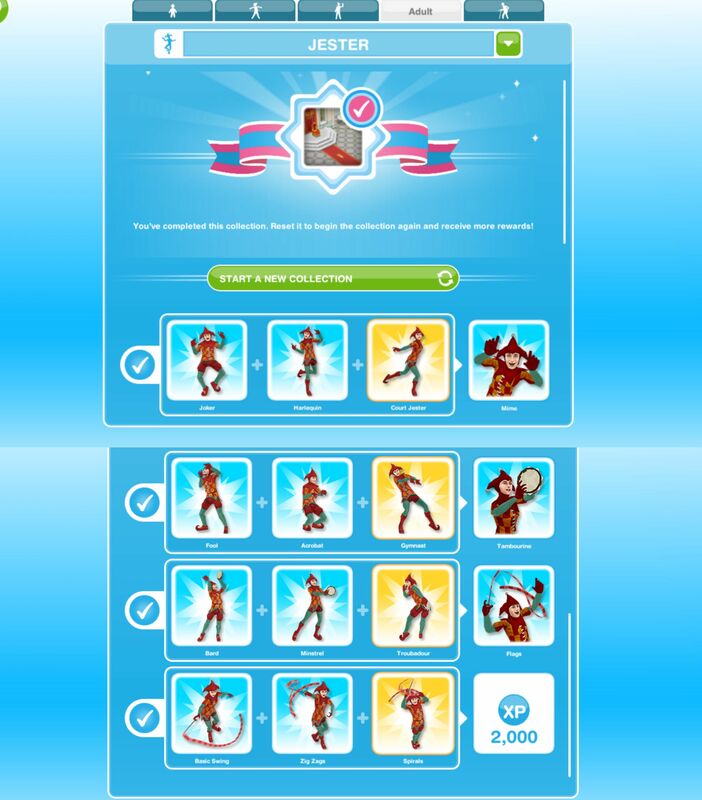 Once you complete the Archery hobby and unlock the gallery one of your adult sims can complete the jester hobby. You can now complete the collection! After the time has passed come back and click the exclamation mark above your sims head to find one of the jester collectibles in that row. You still level up in this hobby but the hobby level up percentage isn’t important as the jester collectibles don’t unlock depending on your level, when you finish a row of jester collectibles you will unlock the ability to find the jester moves in the next row. You won’t find a new collectible each time, you will get repeats, if this happens just keep going, you will find them eventually! If it is still taking too long you can use the lucky spin on the row where you cannot find the item, this will cost LPs, when you click on the LP button it will clear the row and give you a random collectible on that row so you aren’t guaranteed a new item (you will get back any other collectibles you already had in that row) Need to earn some LPs to use the lucky spin? It just seems to take forever! dance is the first row, you have to dance before you can do the other two, the last row is flags. I’ve completed mime, flags and tambourine it’s brought up dance but I’m not being awarded anything clicked on dance 10 times now but the last row isn’t filling up so I can’t complete hobby?! I have done the flags 10 times and nothing on the bottom row has been awarded. All other rows are complete. Any suggestions ? I somewhat disagree about whether or not you should use a lucky spin. I used it and it worked I also used it for one of the horse thingys as well and it worked! Lol but I must admit I had tried to get the final pieces for a loooong while each time before I just went ahead and used it. GWG – you’re right about the last level – I’ve been doing the 5 h 30m “flags” for well over 10 days non stop with 2 different sims now, the first one aged into a senior and i still didn’t get the final level, my current jester is about to age as well. very frustrating. it is very annoying isn’t it? and I don’t think it was even worth it! Hi! When I go to try the Jester hobby (with the same Sim I did the archery hobby with), it says my Sim will forget everything about the other hobby. This makes sense, but my question is this: Can ANY Sim become royalty, or just the one that becomes the jester? Do I have to use the same sim as the archery quest? Not quite sure about this process. I cant seem to do the jester hobby. I have built the castle and completed the archery hobby but get no option for jester hobby? you need to find Bree at the community center to start the quest. I’m a lvl 6 jester and still can’t access tambourine or flag! Anyone else find yourself get tired of these hobby quests? Especially when only one sim can do it? Jester hobby is a tough one but at least there is no time limit! Oh yes. I miss one last item in “flags” and have been practicing my sim for 10+ days. My sim will be senior, old and alzheimers before long (and so will i, it seems). Nevertheless: thank you very much for your site and i am sorry to hear that you lost your game. Is this like teen idol? You must do flags for the flag level, dance for dance level? I’m going to try that. Yes that’s how that works. Can I do this in a neighbours town to speed up the process? If they have the castle unlocked you could try and complete it there, I don’t know if it will let you though, sorry! I have been stuck on the jester hobby. The final box in the dance row. Ive had several sims try to finish that so they can get to flags row. A google search showed i am not alone in this. Frustrating. Also having same issue with mall fashion shoppers. 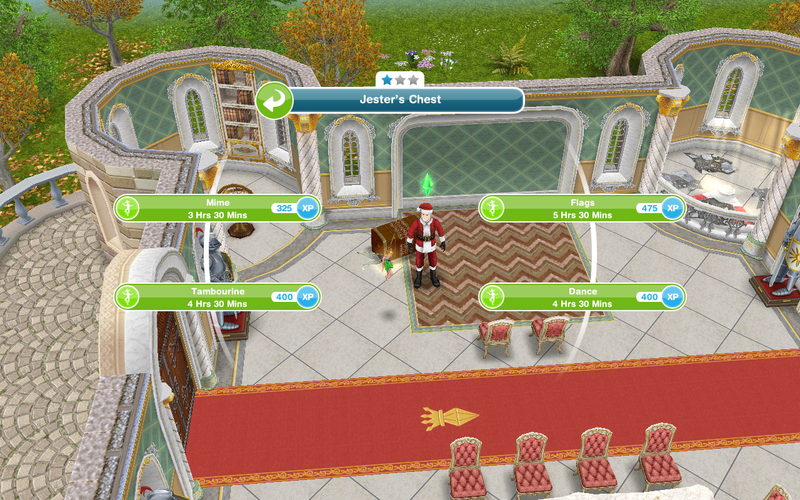 I took a sim to a neighbors town and it was allowing them to jester so i am going to see about having 2 sims jester.